More than 20 journalists from Australia and seven countries in the southwest Pacific region attended a three-day workshop on understanding and reporting change in Europe and connections with countries in Australia’s region. 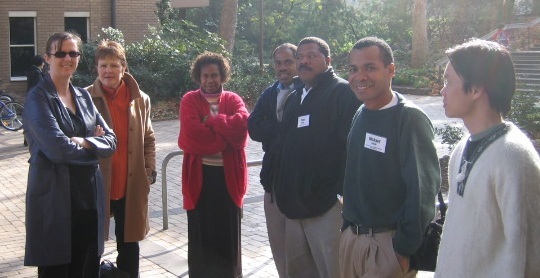 The program of presentations, discussions and computer exercises was run in collaboration with the European Commission delegation to Australia and New Zealand, which was the major funder, the European Journalism Centre in Maastricht and the Contemporary Europe Research Centre at the University of Melbourne. Other funding was provided by the British High Commission and the German and Netherlands embassies.